If you’ve made the decision to pursue a career in the film industry, you have a lot of interesting years ahead of you. But before you can jump into award-winning positions on set, you need to start with a film school. 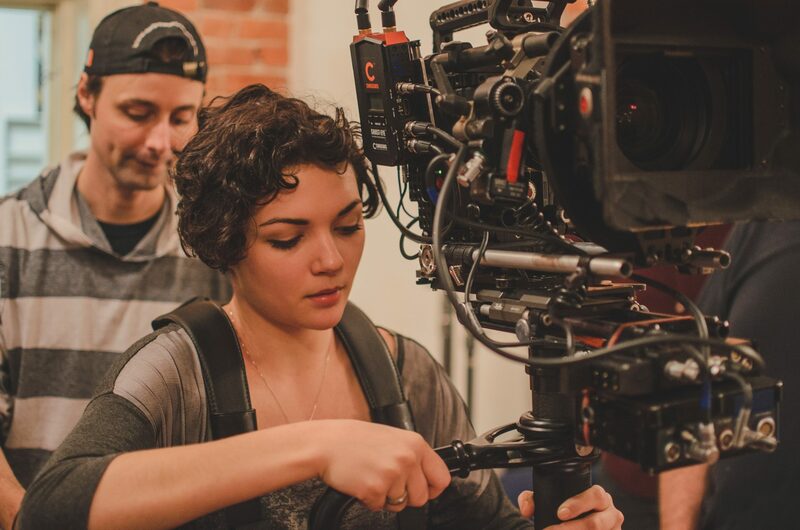 Choosing the best film school for you can be a daunting process, but if you can find one that gives you the most experience and education for your dollar and time, then it’s worth the investment in your future as a filmmaker. LocationOne of the determining factors when choosing a film school is location. A city that is active in filmmaking will give you a better idea of the industry you look forward to.For example, Vancouver, Canada is commonly known as Hollywood North because of the volume of film production that goes on in the city. Vancouver’s large city setting, nearby ocean shoreline, and rainforest mountains continue to be used for many Hollywood film locations. In Focus Film School is nestled in Vancouver’s historic Gastown, just around the corner from many potential and past film sets. This means students often get a peek into set life when they come across active sets in the neighbourhood during breaks from class. Active in film industryNot only should a film school be in a city that is busy with production, but your school should also be actively involved in the film industry itself. A school that’s close to industry action will offer more networking opportunities and insights into current industry practices and information. In Focus hosts industry courses necessary to work on set, such as the Motion Picture Industry Orientation, but it is also a host to a variety of fun film events and a hotspot for networking with industry professionals. Students can attend class during the day, and then stick around after school for a film screening or panel. Class sizesSomething else to keep in mind when choosing a film school is how large the class sizes are. Having a smaller class will ensure that students get the attention and specific direction that they need from the instructors. Many schools have a large intake and the consequence for some students is that they never get to try the key positions that they desire, such as directing or operating the camera.The class sizes at In Focus Film School are small enough for a highly favourable instructor-student ratio, and every student gets abundant hands-on time with the equipment or time in the position they want to pursue. Time investedMany film schools offer programs that take multiple years to complete. This is great for those interested in film history and academics, but most film industry positions don’t require much theory development. You’ll be better served by establishing a strong foundation of skill development at film school and then practicing those skills on an actual set. The programs at InFocus Film School are compact and intensive so that students acquire the knowledge they need to be successful on set sooner rather than later. Try it firstAnother way to choose the best film school is to take a workshop or sample the school in some way. Many schools offer a weekend course or daylong workshop where you can meet the faculty and see the school facilities. This is a great, hands-on way of diving right into the equipment and theory that the school will offer. InFocus Film School has several intro and one-day courses available, such as documentary workshops, interviewing workshops, DSLR photography, and scheduling for producers. Ultimately, the best film school is one that works for you–where you’re comfortable but challenged and will make the most out of the opportunities available.